Kolkata Knight Riders ( KKR) will aim to take avenge of their twin defeats in the league stage when they take on Mumbai Indians in the second qualifier of the Indian Premier League (IPL) at M. Chinnaswamy Stadium in Bengaluru on Friday. Ahead of tomorrow's clash, Kolkata have an abysmal 5-15 head-to-head record against Mumbai in all the editions of the league. Both Mumbai and Kolkata have won the IPL trophy twice in the last nine editions. On Wednesday, Kolkata entered the second qualifier by knocking out the defending champions Sunrisers Hyderabad by seven wickets via Duckworth-Lewis method. In the eliminator game, just after Hyderabad's innings, rain interrupted the game and halted the proceedings for more than three hours. The defending champions had set a target of 129 runs for Kolkata but after applying Duckworth-Lewis method, the target for Kolkata reduced to 48 in 6 overs. Eventually, the Gautam Gambhir-led side met the target in 5.2 overs to reach Qualifier 2. The winner of the second qualifier will enter the final where they will meet Rising Pune Supergiant on Sunday. 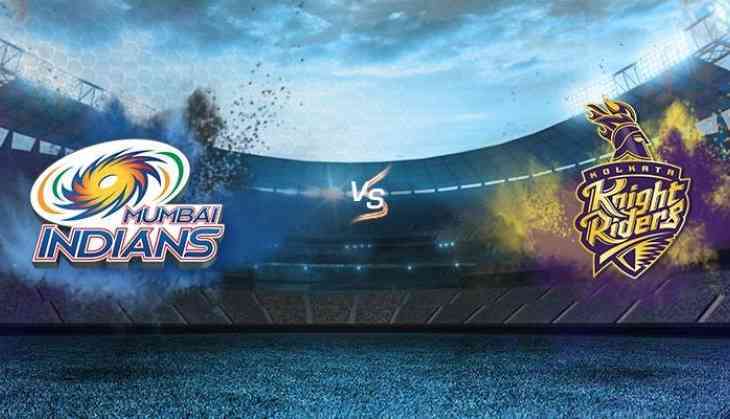 Pune had booked their place in the summit showdown after beating Mumbai Indians by 20 runs in the Qualifier 1 at the Wankhede Stadium on Tuesday.